Why Choose a Roll Banner? Roll Banners offer a spectacularly economical way to communicate your marketing message at concerts, sporting events, radio station events, motor sports events, political rallies, and anywhere else groups of people gather. In the words of Torino Joe, Promotions Director for TMA Racing, "I simply couldn't do my job without my roll banners. They are indispensable because they are SO dispensable. With roll banners, especially perforated roll banners, I can show up at events and completely COVER the place with our logo and our image. It's RIDICULOUSLY easy." While it is true that roll banners add tremendous ease to promotional professionals' and event sponsors' lives, there are some factors that need to be considered when buying roll banners. In the words of Richard Lapper, President of Lapper Branding, "There are roll banners and then there are ROLL BANNERS!" In other words, there are Plastic Roll Banners and Vinyl Roll Banners. It's important to choose the correct type of roll banner to meet your needs. When it comes to the quantity of roll banners you need, the size of the run matters. For most printers of roll banners, the smallest run length that makes economical sense is 2,000 linear feet. Set up time is a huge consideration for roll banner printers. The average set-up time to mount printing plates, mix PMS matched inks, unmount printing plates and clean up press, hoses and ink stations is 30 minutes per spot color. Because the average flexographic press runs at 400' - 500' per minute, the average minimum run length for roll banners must be at least 2,000 linear feet (6-8 minutes of press time) to justify the set up time. 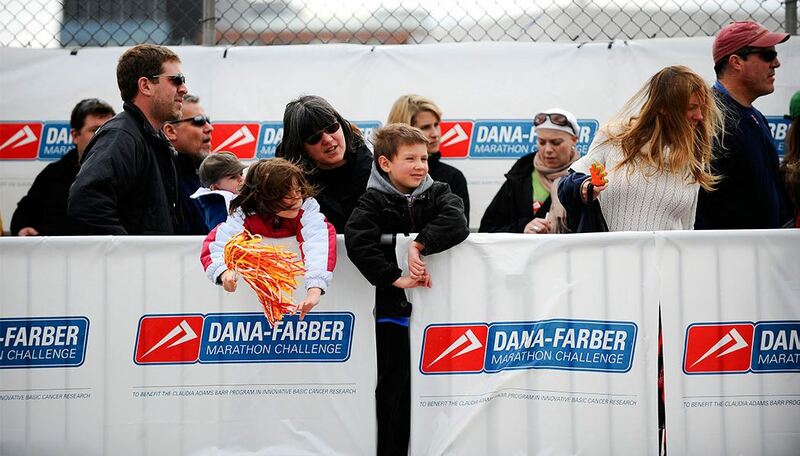 A run length of 3,000 feet translates into at least 1,000 roll banners, assuming the repeat is 36". If 1,000 roll banners are more than you need, you have two options for printing a smaller quantity. Digital printing uses no plates and has no limits on colors. For one low price, you can get as little as one 250’ roll. Although the cost per roll is higher than flexographically printed roll banners, the low minimum order offers more flexibility, and you won’t buy more banners than you need. Another option to consider is vinyl roll banners. Whereas plastic roll banners are flexographically printed on low density poly, vinyl roll banners are digitally printed on 10 ounce vinyl. Best of all, the minimum print run of vinyl roll banners is 50'. For more information on roll banners, please contact us by e-mail at [email protected] or call us at 800-231-4213. We will be happy to answer your questions. 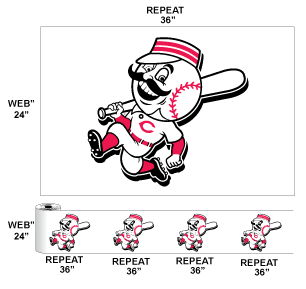 The graphic below illustrates the basic principles of the "web and repeat" of a roll banner. Simply stated, in this case, the "web" translates roughly into the "height" of the roll banner. The "repeat" translates roughly into the "length" of the banner. Therefore, a 24" x 36" roll banner has a web of 24 inches and a repeat of 36 inches. We print plastic roll banners with webs of 18", 24", 30" 36" and 48". We offer many repeat lengths, ranging from 18" all the way to and including 54". Our most popular sizes for plastic roll banners include: 18" x 36", 24" x 36", 30" x 36", 36" x 36" and 36" x 54". These are just some of our most common sizes. Our widest web is 48" and our longest repeat is 54". As you can imagine, rolls of 48" x 54" banners command attention! If you don't see the size of the roll banner you need, please contact us by e-mail at [email protected].com or call us at 800-231-4213. We are confident we can meet your size demand. Many plastic roll banner printers have flexographic presses with the capacity to print 4 spot colors. Our printers can print up to 6 spot colors. In addition, we can print 4 color process (4cp) plastic roll banners. While it is true that we can print 4 color process roll banners, the size and scope of projects is quite different. We like to say that "printing spot color roll banners is to printing 4 color process plastic roll banners as Piper Cub airplanes are to F16 fighters." It is true that they have similarities. However, they are not to be confused. For years, our minimum print run for 4 Color Process banners was 25,000 linear feet. However, due to recent technology break-throughs OUR NEW MINIMUM RUN IS 2,000 linear feet, and just 2,000 feet for spot colors! Our digitally printed plastic roll banners can offer even better image quality than 4 color process banners, without needing plates, and with a minimum of just 250 feet. Printing 4 color process Vinyl Roll Banners is routine. Our digital printers produce full color (4cp) roll banners at resolutions up to 600 dpi. Our vinyl roll banners come with webs of up to 60" tall with repeats as long as you need. They are printed with indoor/outdoor (UV Solvent) inks, on reusable 10 ounce scrim vinyl. If you want to know more about spot color and 4 color process roll banners, please contact us by e-mail at [email protected] or call us at 800-231-4213. We will be happy to answer your questions. Many plastic roll banner printers require 4 weeks to ship SPOT COLOR orders. At Northcoast Banners, we regularly ship SPOT COLOR plastic roll banners in 2 weeks or less. For FOUR COLOR PROCESS (4cp) roll banners, turn-around time averages 4-6 weeks. Our streamlined processes and dedicated roll banner presses all us to complete orders faster than any of our competitors. Our average time for fulfilling a vinyl roll banner order is 3 work days. As you can see, it is smart to factor in turn-around time when you place your order. If you need your roll banners in a hurry, please contact us by e-mail at [email protected] or call us at 800-231-4213. If we promise to meet your delivery time, we will. Do You Require "Full Bleed" Roll Banners? When creating art for your roll banners, it is best to restrict your design elements to the "live area" of the banner. 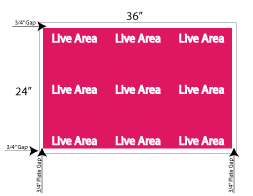 When your roll banner design elements impinge on the gap outside the live area, in most cases, we will work with you to eliminate the design flaw. However, on occasion, your roll banners will absolutely require a design with no gap between instances of the banners, and no white edge at the top and bottom of the banner. These are cases we refer to as "full bleeds". If you design your roll banner art with colors other than white between the images, select a PMS color that blends well into the background. By using an additional printing deck, a spot color can be printed to fill the plate gap. Have Questions or Need a Price Quote? Get in Touch!